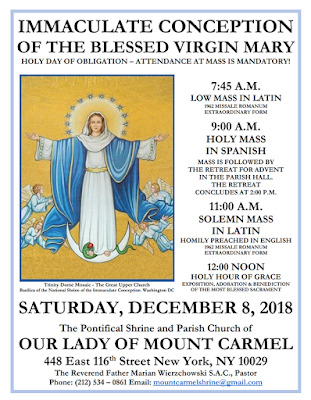 On the feast of the Immaculate Conception, the Pontifical Shrine of Our Lady of Mt Carmel in New York City will have a Low Mass in the traditional rite at 7:45 am, a Mass in the Ordinary Form in Spanish at 9 am, followed by an Advent retreat in the parish hall, which will run until 2 pm, and a Solemn EF Mass at 11am, followed by a Holy Hour with Adoration and Benediction. 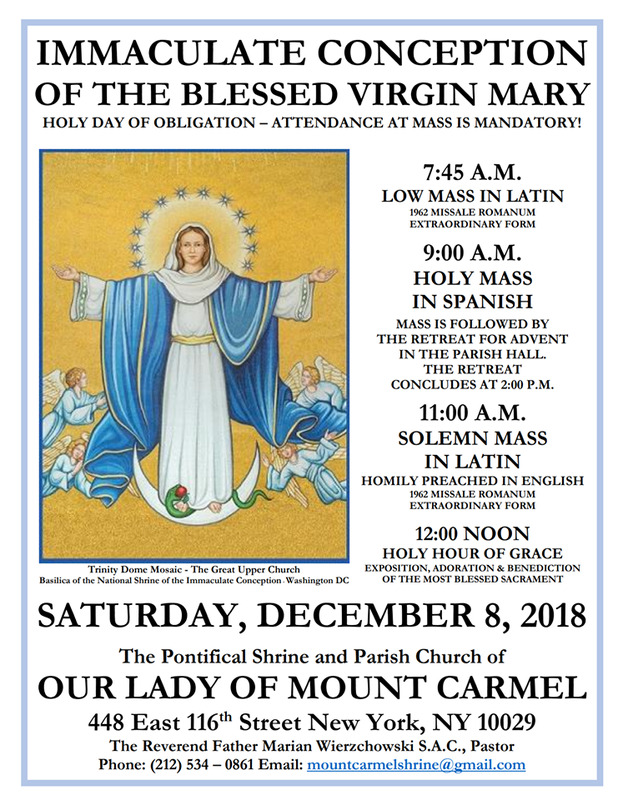 The church is located at 448 East 116th Street. 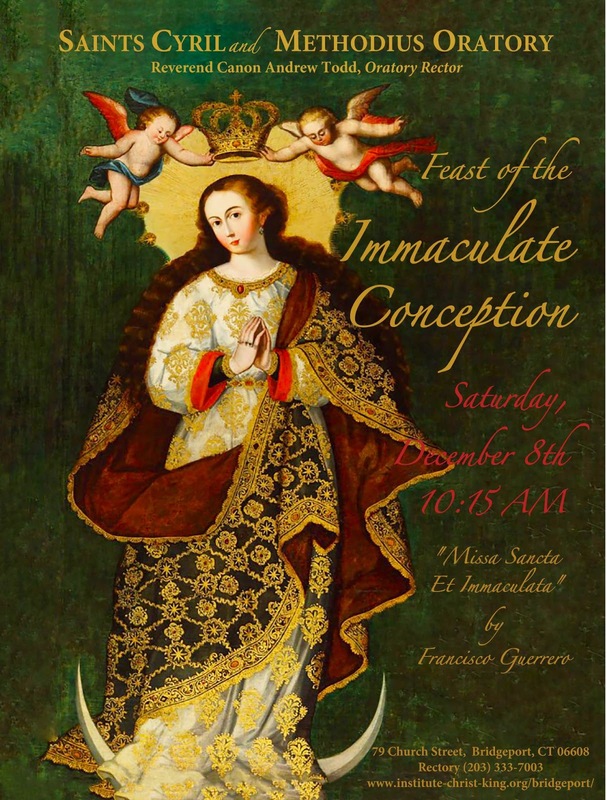 The Oratory of Ss Cyril and Methodius in Bridgeport, Connecticut, an apostolate of the Institute of Christ the King, will have a sung Mass for the Immaculate Conception, with Francisco Guerrero’s Missa Sancta et Immaculata, starting at 10:15. The church is located at 79 Church St. 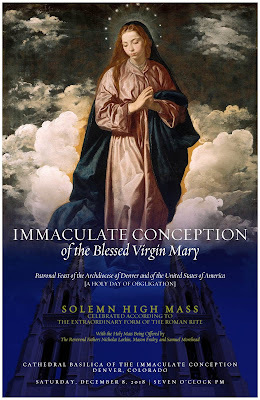 The Cathedral Basilica of the Immaculate Conception in Denver, Colorado, will have a solemn Mass in the traditional rite, celebrated by members of the diocesan clergy, beginning at 7pm. The church is located at 1530 Logan Street.